The Badminton World Federation (BWF) has published the entry lists for the 2012 Dongfeng Citroën BWF Thomas and Uber Cup Finals. These competitions, the World Championships in men’s and women’s team badminton, kick off on May 20th in Wuhan, China. Defending Thomas Cup champions and hosts China are fielding an all world top-ten line-up in their bid for a fifth consecutive title. Defending Uber Cup champions Korea will be hard-pressed to take the title back with them across the Yellow Sea at the end of the month as China has only two players not from the world’s top 4. 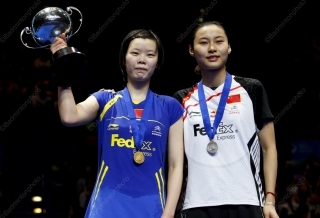 Particularly high expectations are for a romp at third singles by in-form Li Xuerui (pictured here with fellow All England finalist Wang Yihan). 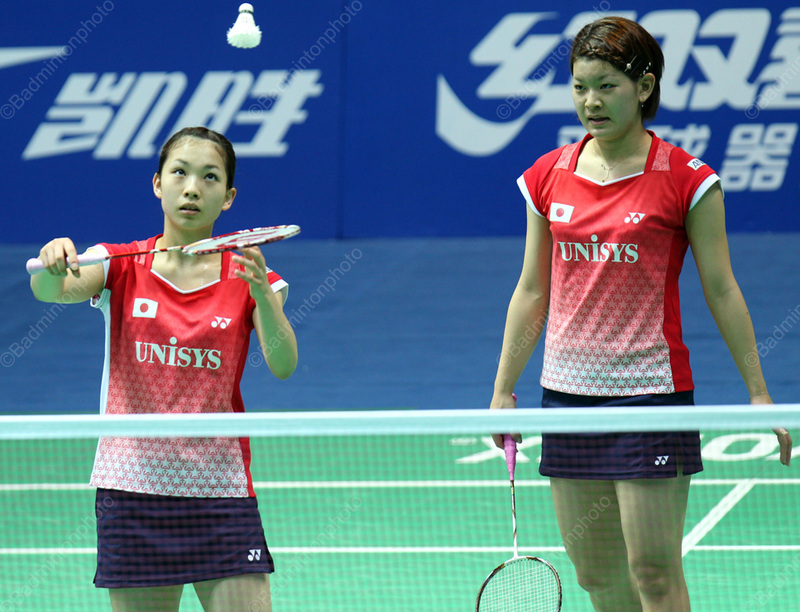 Uber Cup second seeds Japan provided one of the few surprises in the lists, dropping former world #2 veterans Miyuki Maeda / Satoko Suetsuna in favour of youngsters Misaki Matsutomo / Ayaka Takahashi (pictured below). Chinese Taipei will also be without veteran singles star Cheng Shao Chieh. Korea and China will be at full-strength, though for the defending champions, that means digging below the world’s top 100 for a third singles player, but still finding Hwang Hye Youn, a former Asian Games and All England bronze medallist. China has gone with experience this time, passing over world #9 Bao/Zhong and #11 Tang/Xia to take veterans Cheng/Pan for the backup doubles slot. 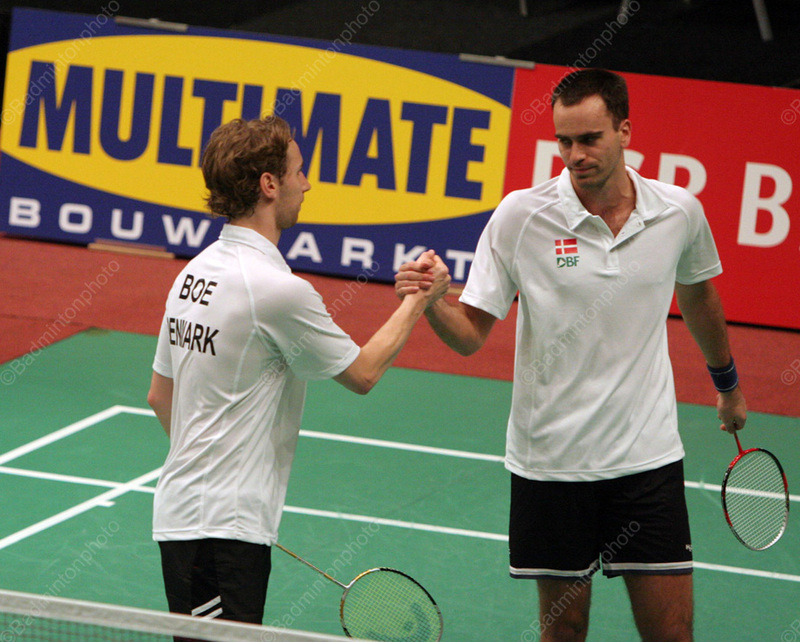 Denmark, Thailand, and England have all looked to top mixed doubles specialists to augment their doubles squads, availing themselves of the talents of, respectively, Joachim Fischer-Nielsen (pictured below in a temporary 2008 partnership with world #3 Mathias Boe), Saralee Thoungthongkam, and Nathan Roberston to create potentially dangerous scratch pairings. However, Indonesia will not be joining them in that department this time around. Instead, they have recruited half of two different top doubles pairs to bring Alvent Yulianto Chandra and Ryan Agung Saputra to their squads, each without his regular partner. The complete entry lists are shown below, together with links to the BWF’s official lists. POLL – Will Li or a Wang be left behind?